What was a booking by compulsion turned out to be a short, power packed trip filled with tons and I mean tons of Wildlife n fun!!! We never intended to actually go to Gir, we’d just booked 2 TENTS, yes tents at Club Mahindra, Gir because our days were scheduled to lapse. By chance we decided not to cancel the booking and make a trip out of it. So this follows, the notes are BACK!!! Rajkot, a super small airport you’d probably not think of, was our destination. It’s funny to think of how the revolution and spread of airports and air connectivity has put small cities and towns on the national radar making them so much more easily accessible and reachable!! Back to point, Rajkot is an hour from Bombay (I still like calling it Bombay,!!) and it being morning was chilly. 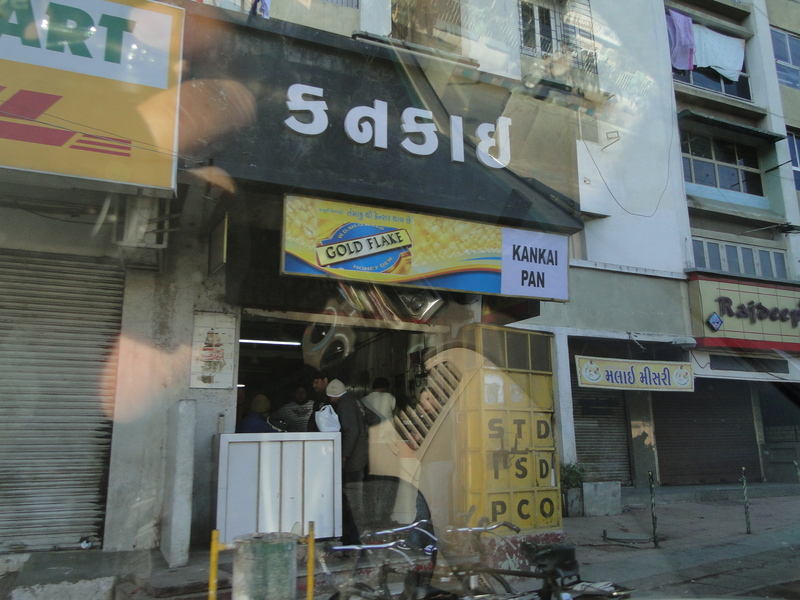 Ha so we loaded the luggage and then found an authentic Gujju (read Gujarati) place that would serve us Sunday breakfast Rajkot style. We ended up having puris, fafda (excuse the spellings), gathia and some awesome cold carrot salad (=MasterChef Aus fans read coleslaw) and cold green chillies rubbed with salt. A classic way to start the day. Now our destination was not Rajkot but a village called Sasan, which held the famous Gir Lion reserve being the only reserve in Asia to house the Asiatic Lion. Which happened to be about 4 hours drive I think. 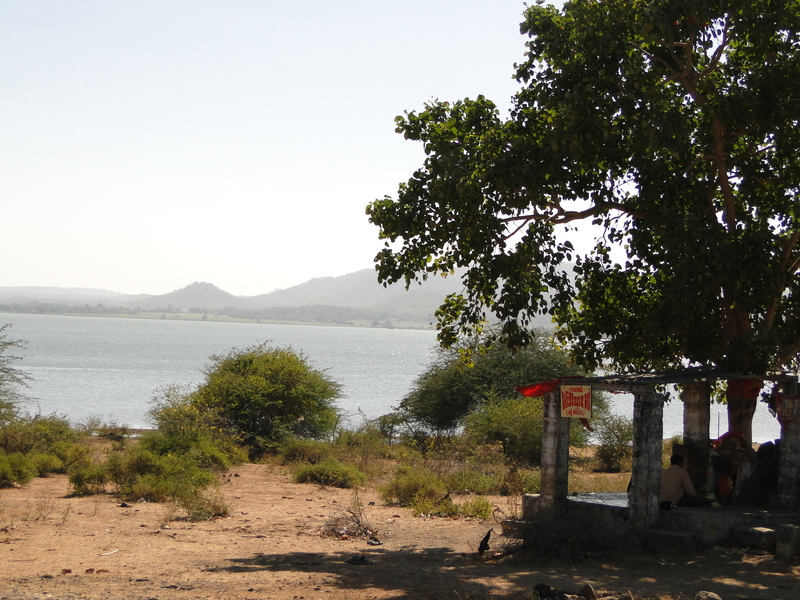 It is said that a devotee with a true heart who prays at this temple does not return disappointed. This explains the number of people who flock to the temple.It is also said that a person who visits the temple has to have the Prasad that they gave there. So we made our way to the place where devotees were given Prasad which turned out to be some Sweet Boondi, Sev and a Potato bhaji on the side. 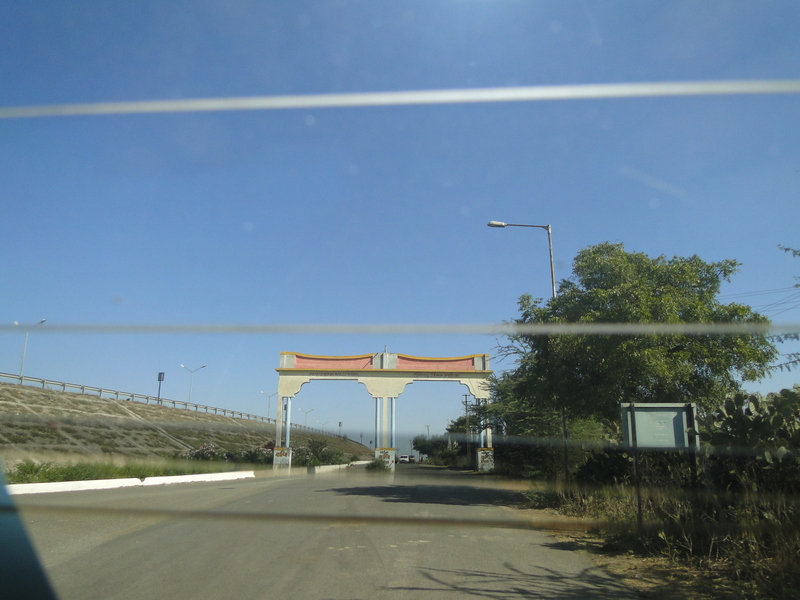 Soon after we were driving across various towns and villages to our destination, Gir!! 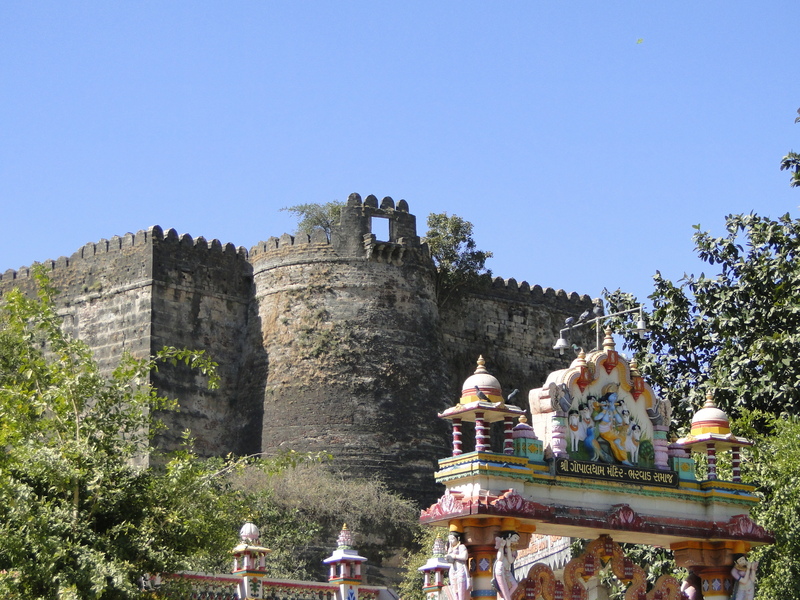 *Sheepishly* I napped while we drove through Junagarh and I missed the stories our driver told everyone about the fort and the history of the place. 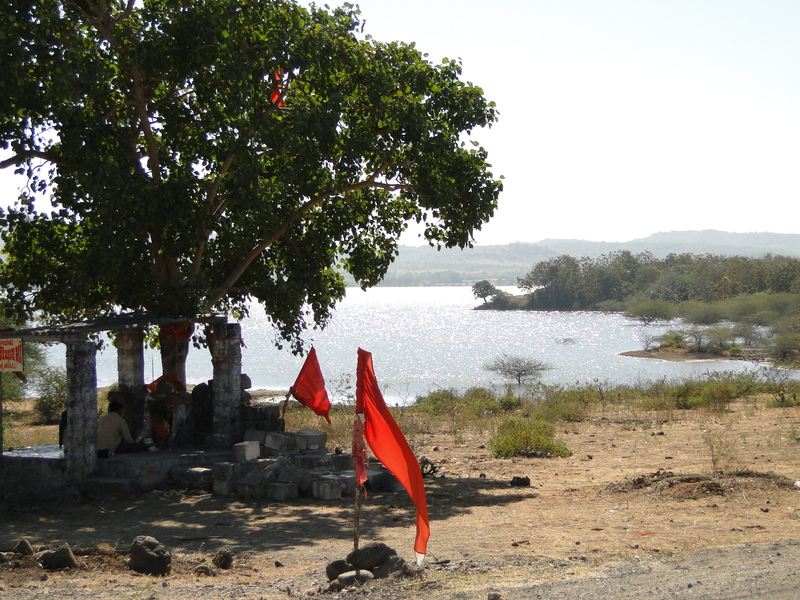 I was up when we were very close to Sasan and where we’d left the National Highway and come into the lanes that would carry us to Club Mahindra. But I did catch fields of wheat, tur dal, cotton and carrot!!. A special mention about carrot fields, carrot flowers are white, small and when in a field it looks like a white carpet!! Awesome!!! Also wheat fields look like a green carpet. And because we saw fields in patches that were sown at different points of time, they were in different hues of green. This monochromatic arrangement was a sight to see as well. Ah finally we entered Sasan as the pic below shows. And drove quickly to Club Mahindra. I and Sachi grabbed a quick bite and made our way to the tents. Now our tent wasn’t a typical tent (=it had an A/C, a proper bathroom, tiles and a bed….i was hoping for something more authentic but nonetheless)…Yeah, the tent didn’t have a door, we just had to zip it!! So we settled into the tent pretty soon and then decided to explore the Fun Activities Centre. Club Mahindra always has a set of Fun Activities and this time they had cycles which we could ride on their property. 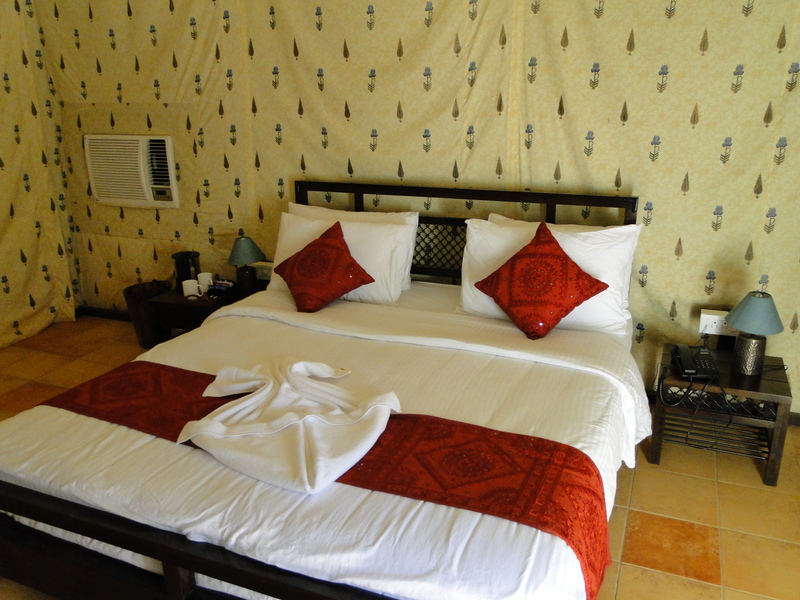 CM Gir wasn’t a big property but it made a good ride. Considering it was ages since I’d cycled, I was apprehensive but it turned out to be quite fun. After some initial bloopers, I had a fun time driving across the property. Sachi and my Dad also had a fun time with the cycles. The Fun Activities centre also had a carom table, an ice hockey table, a TT table, and Chess. There was badminton and a Zorb thru which we could Zorb on water!! While playing TT, my dad and sister were totally engrossed and one of the table legs was getting loose, so when my dad leaned across to play a shot, the TT table collapsed!! We were too surprised to react let alone capture the moment through the camera lens. We did have a lot of laughs after that!!! We also walked across the property and outside. It becomes pitch dark after 6:45-7:00 and the air becomes chilly. The chilly walk was a lot of fun. We followed that up with badminton and then dinner (Club Mahindra style) and then retired with awesome plans for the next 3 days. One of things that a traveller should do is to always ask what are the unimportant things to see when you visit a place? I’ve often noticed that we have wonderful experiences going to places which locals think are insignificant or unimportant. 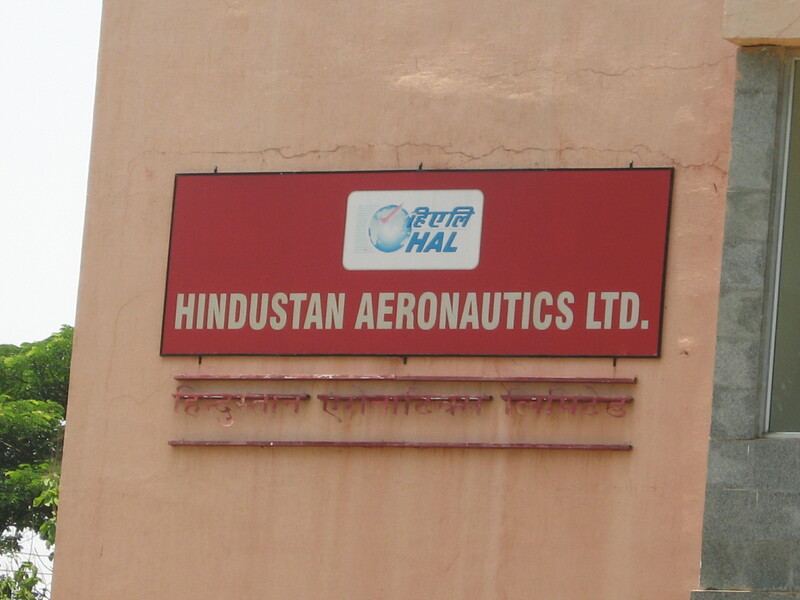 One such place near the new Bangalore airport happens to be Hindustan Aeronautics Limited. 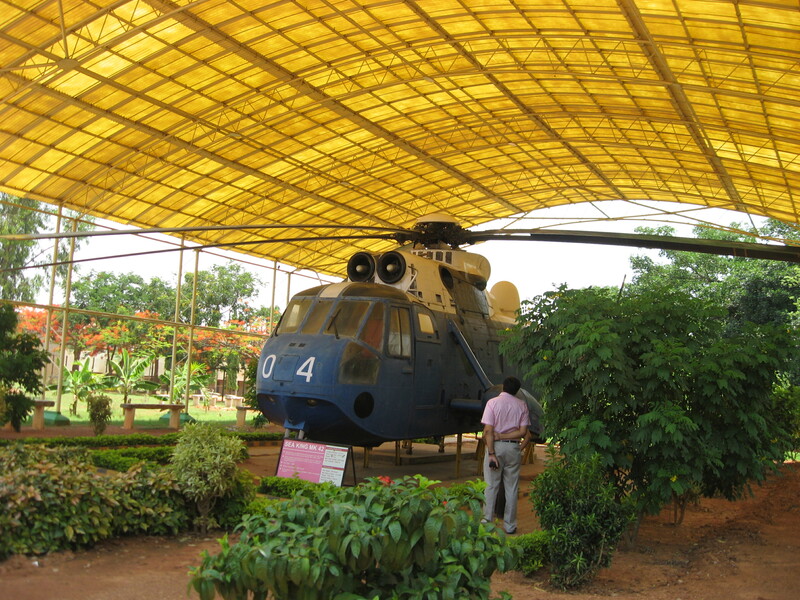 India historically has never been renowned for excellence in defence and defensive/ protective equipment. Or fighter planes for that matter. Still we have to be lauded for making an effort. 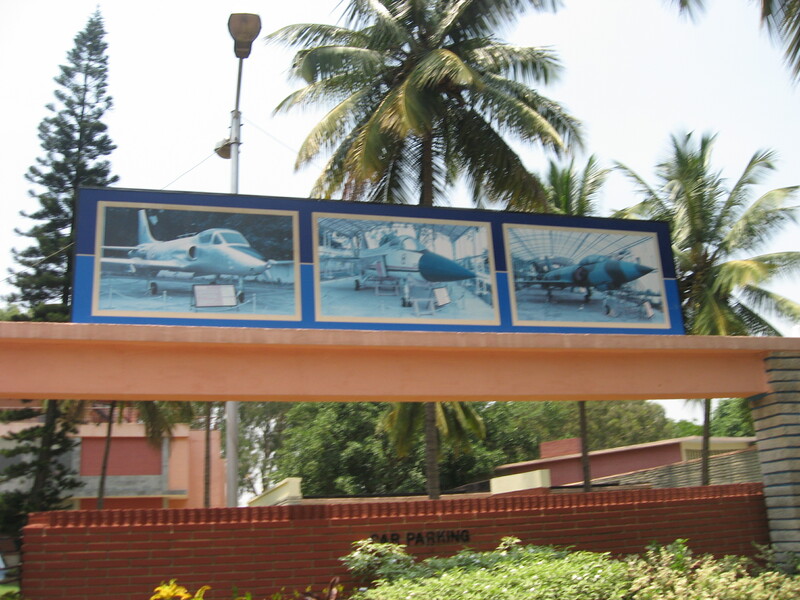 And the Hindustan Aeronautics Ltd Aerospace Museum is just about that. 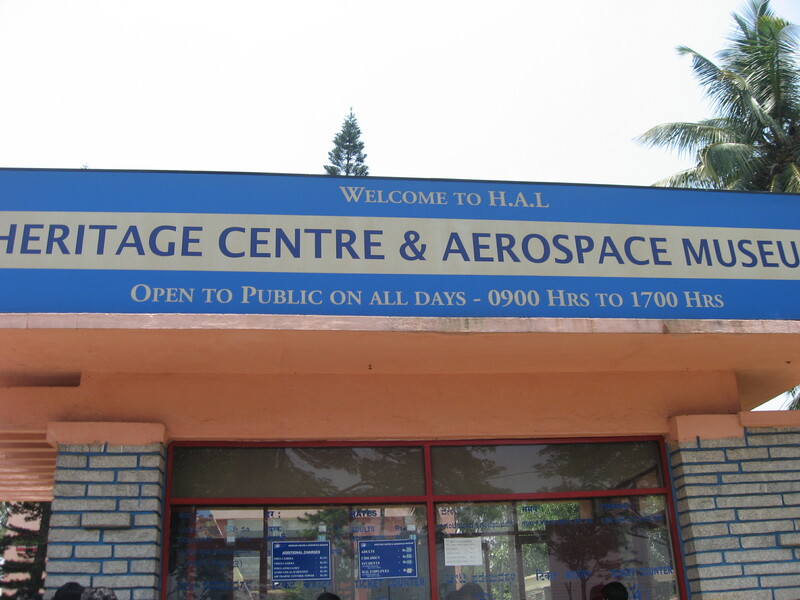 Bringing to a country’s notice that while it had worried about growth and political economics of deficits and quotas, HAL has manufactured over 3658 Aircraft/Helicopters, 4178 Engines, Upgraded 272 Aircraft and overhauled over 9643 Aircraft and 29775 Engines. While I was not someone who was interested in aeronautics unless it was mentioned in a work of fiction, my dad was and still is an enthusiast for any new technology especially aerospace and robotics. So this was a wonderful experience for all of us. When we were dropped off to the door, I was surprised. I didn’t expect a museum to have large gardens, contemporary colours and wide paths. 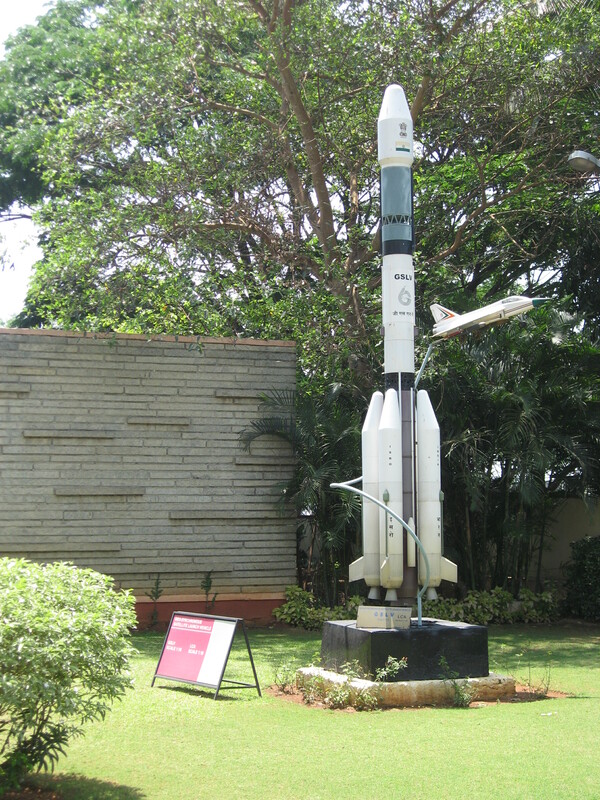 There is a main building and also some models which have been displayed out in the gardens. 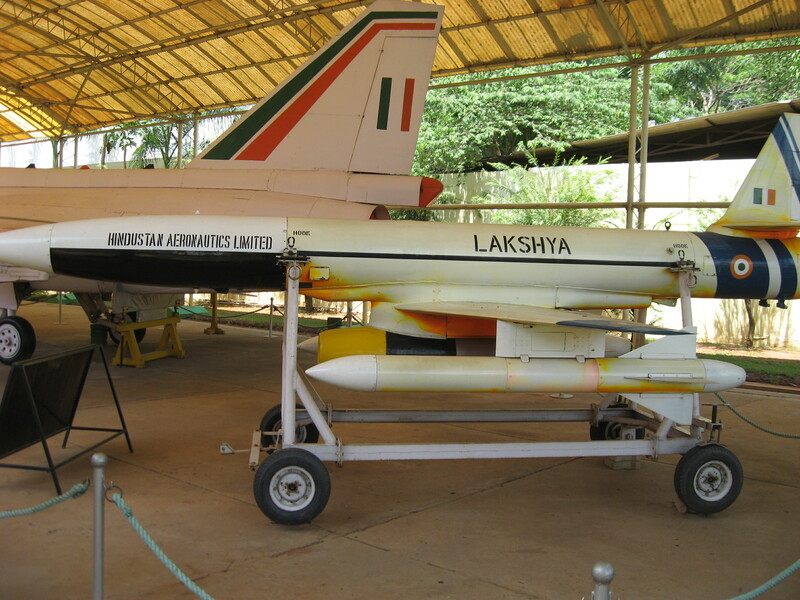 These include models that the HAL has indigenously developed and also those which have been manufactured from Russian blueprints under technology transfers. 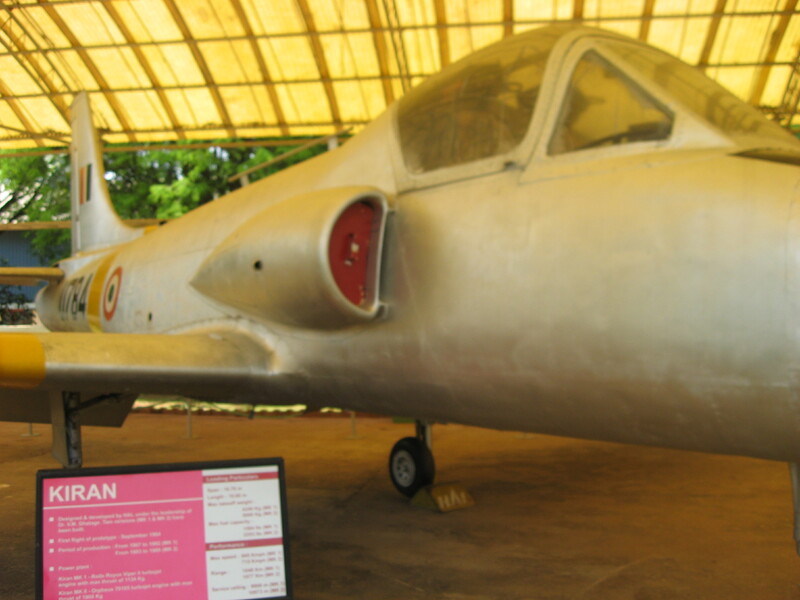 Most of the aircrafts are displayed outside the museum except HUL-26 Pushpak and the HAL Basant. 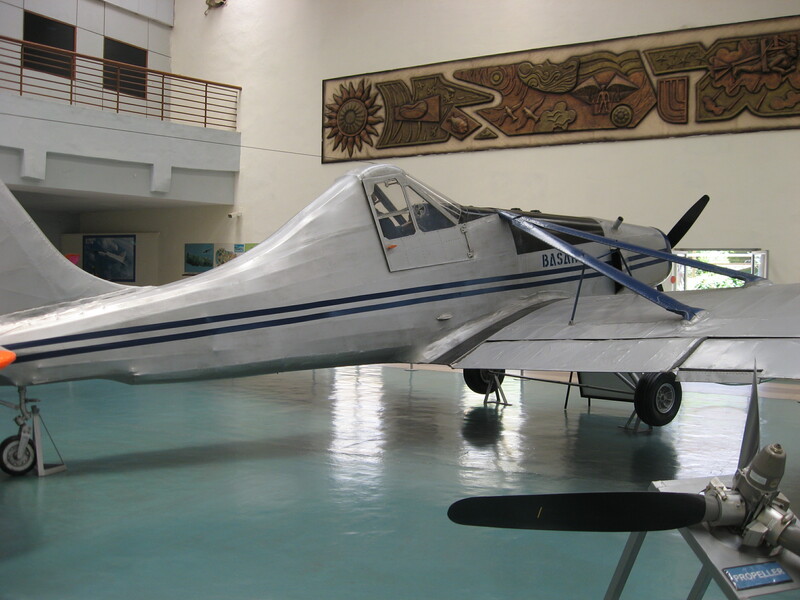 The photo gallery of the museum contains pictures of Vengeance bombers under construction in the 40s, Dakotas being overhauled, Tempests, Devons, under overhaul in the 50s, Vampires, Gnats, and Maruts under construction in the 60s. 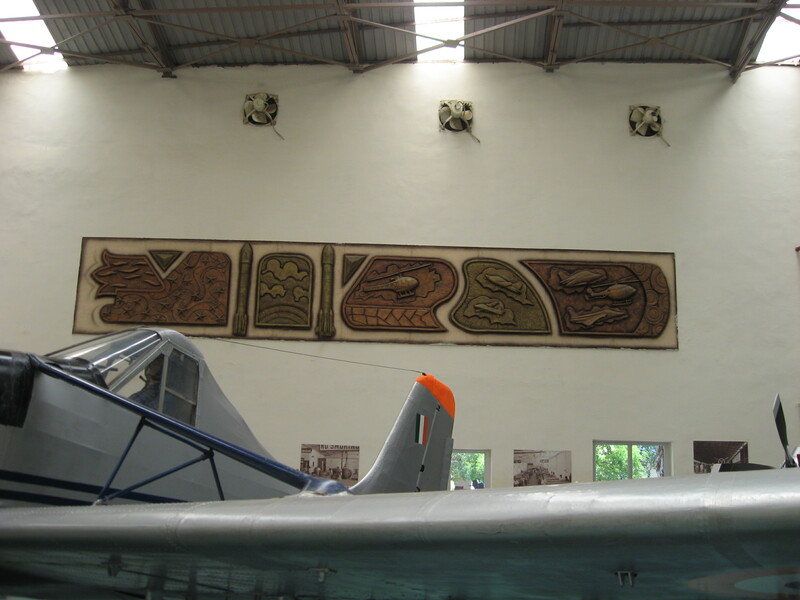 An air control building is also available in the museum. there was also the Sea King MK 42 helicopter on display. Air Traffic Radio Antenna and Radars dot the landscape. 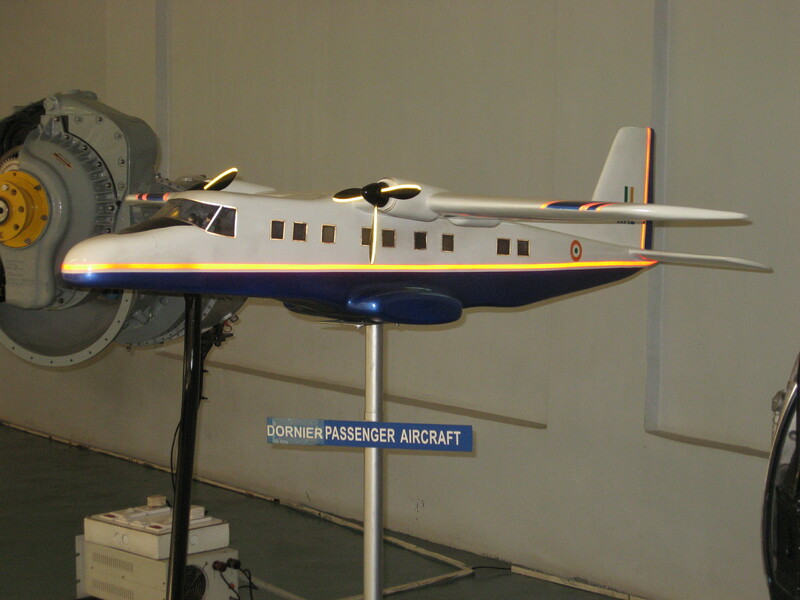 Every model that is displayed has information at the side about the features like Period of Production, length, span, height, speed, rate of climb, range etc. it was interesting to read all these details. 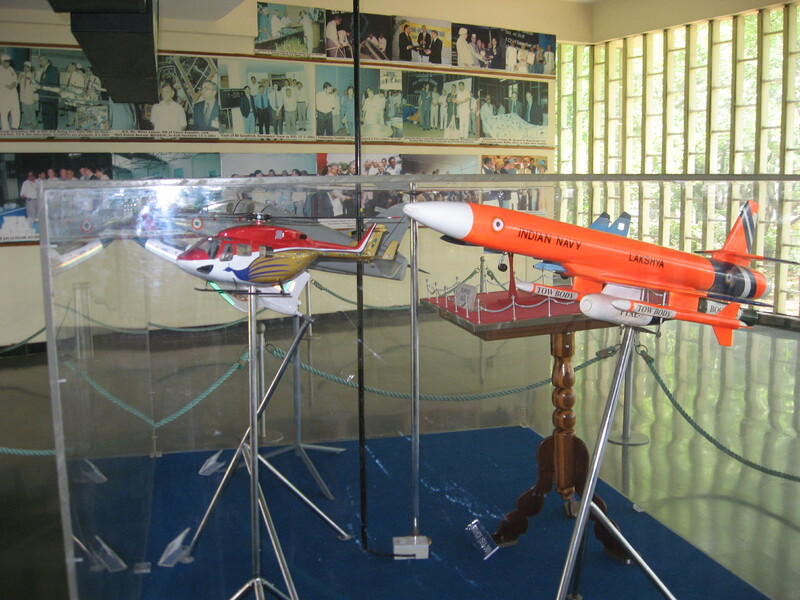 In the building there are also models of the HUL Pushpak and HAL Basant along with pictures of everyone who visited the Museum. it was heartening to see the way everything had been preserved. It is said that pictures always have their own story to say. 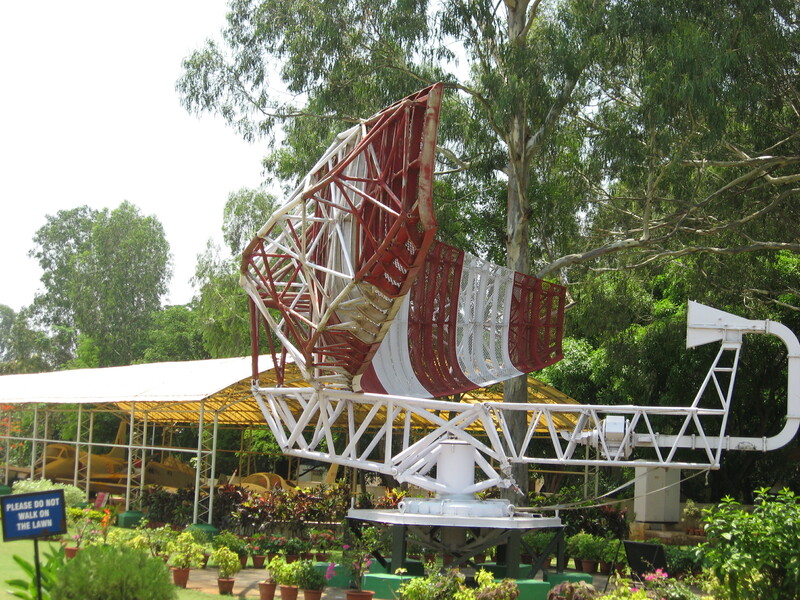 It was a really proud moment for us when we saw the indigenously developed models like Kiran. It made me proud to know about all this because when you read the papers, it is almost always a regulatory fault or a collapse of systems and every blasphemous articles berating India. Another thing worth mentioning is the Aircraft simulators. Priced very cheap (Rs 50 per person for half an hour) you get to sit inside an aircraft and modulate controls and there is a screen that shows you the aircraft. In a way it resembles a video game with controls. But who are we to have a first class experience at piloting, so we did it, and I crashed my aircraft two times ;). The best part is the Aviation Traffic Control or the ATC. Photography is not allowed so I don’t have any to show. 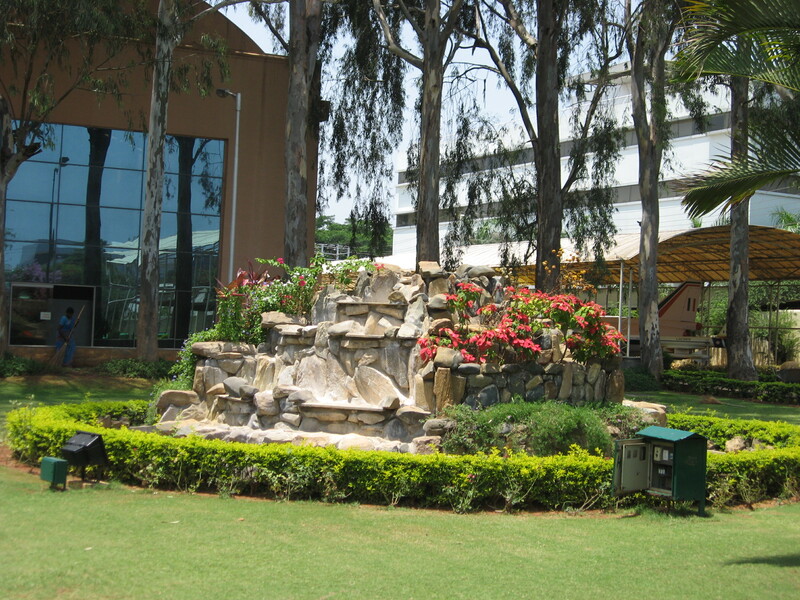 But the ATC there opens to the Bangalore Airport where you can watch the planes take off and land. There is a simulation of an actual ATC with the controls and everything. A security guard explains everything to you about the controls. it was fascinating to see the number of controls that one person needed to man. After this wonderful experience in the HAL Museum, we went to meet my cousin and her baby!! After a morning in marvel, it was time for an afternoon of fun! !